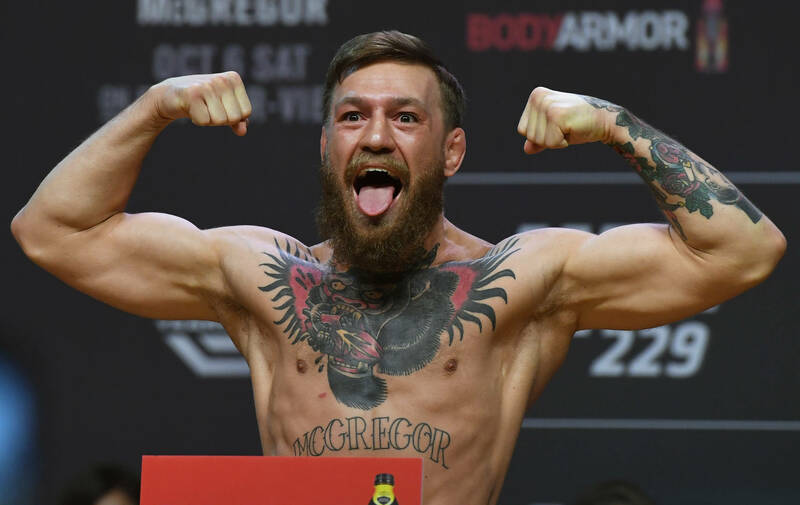 Conor McGregor just completed his community service for a crazy bus attack he was involved in back in October, and already the former Ultimate Fighting Championship has found himself back in trouble. According to the Miami Herald, Conor was arrested this evening after he smashed a fan's phone outside the Fontainebleau Miami Beach hotel. The publication details how Conor and the fan were walking out of the resort around 5 AM when the fan tried to take a photo with his cellphone. Conor responded by slapping the phone out of the guy's hand, stomping on it several times and then taking it with him when he proceeded to take off. The phone was said to be valued at $1,000. Conor was not arrested at the scene, but since there were surveillance cameras outside the resort cops tracked him down to his Miami Beach home on North Venetian Drive. The 30-year-old has been charged with felony strong-armed robbery and misdemeanor criminal mischief. It seems as though Conor's previous anger management courses didn't do the trick so the courts may not go as easy on him this time, by just issuing community service.